With a focus on making the finance and blockchain sector relatable through content marketing, Contentworks also places a high emphasis on equality. As active participants within the blockchain space, we believe the technology can provide a level playing field for everyone to succeed. Throughout the Women in Blockchain series we will be interviewing senior women from the blockchain sector to learn about their challenges, successes and ambitions for blockchain technology. 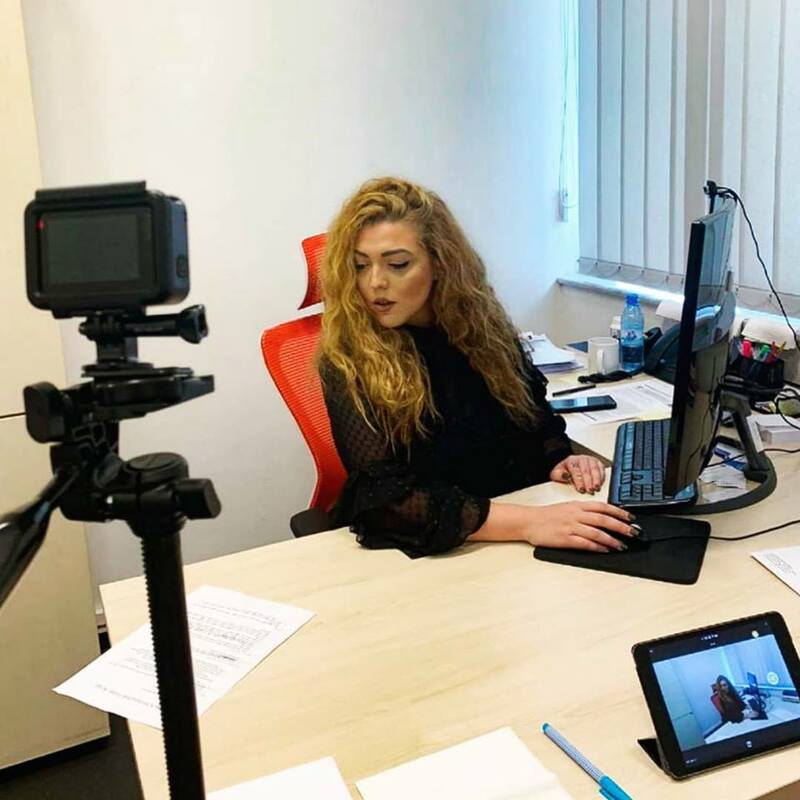 In this episode of Women in Blockchain, we’re meeting Irene Patrikios, the Enrolment Manager of the Blockchain Initiative of the University of Nicosia (UNIC). Irene heads the blockchain programs, including the MSc in Digital Currency and the Professional Certificates. She manages the admissions for the Ph.D. program and the MSc in Computer Science with blockchain technology concentration. Irene was recruited for the Blockchain Initiative due to the passion she has for her students and in the process fell in love with the technology. Irene and her team have grown the MSc in Digital Currency from 15 to 500+ students within two years. She received her BA in Public Relations, Marketing and Advertising and her MBA from the University of Nicosia. Since entering the blockchain world in 2016, I slowly developed a philosophy that has been true to date, ‘Blockchain people want to change the world.’ My inner anarchist is satisfied every single day from the visionaries I meet in this space. All the way from people who are interested in our programs and want to take their careers forward, to the networking events I’ve been to all over the world. It is inspiring to see the passion people have for evolving our society. This motivates me and validates my decision to grow with this community. Firstly, I am part of an institution whose primary goal is to further academia and educate the world. They believed in this technology when larger institutions still doubted. Here we are today with so many firsts, with such amazing experts we call faculty, and a community of 25,000 people spread across the globe. I am very fortunate and humbled to say my job plays a pivotal part in this. I mean this technology needs users, right? It is so much more than preparing people to get jobs, which we do; education facilitates the technology one way or another. My team and I assist students from their very initial inquiries to enter our programs, and are there with them, step by step until they walk onto the stage to receive their hard-earned diploma. In 2017 we took it a step further and launched Europe’s premier blockchain conference, Decentralized. Project managing Decentralized was absolutely life-changing. Decentralized brought together our worldwide community, featured the best of the best in the space and highlighted what we do best. This past November for instance, Decentralized featured over 120 speakers, had over 1100 participants, from over 40 countries! And from those, around 60 were MSc in Digital Currency students and alumni. Our programs and events provide the perfect platform for individuals to meet other like minded people and really develop a bond. From our community and programs many business and projects have been inspired, alongside real friendships. As Decentralized 2017 was coming to an end, our participants started wanted more. Waiting 365 days for the next Decentralized conference was not going to cut it, and so the Decentralized Chapters were created. I started this project last summer and launched a chapter in New York City as a test. We had 100+ attendees and people’s passion to help establish this was all we needed. Last October we launched in Nicosia, and we estimate another 5 by March in cities around the world. Decentralized Chapters are local communities that regularly meet with a speaker series, entrepreneurial support, peer support, volunteer work, etc and have the University of Nicosia’s support. Most importantly all chapters are connected under the Decentralized umbrella and can cross communicate; a Decentralized network of local communities, all about blockchain. This University does so much more than just provide knowledge, it truly inspires individuals. #2 What made you want to be a part of the blockchain scene? It was sprung on to me to be honest. I worked in the admissions office of the University of Nicosia, they approached me and I took it as a challenge. I had no idea what I was getting myself into but I am a risk taker and loved the idea of being a part of something new and seeing it grow. I could easily say this was the best decision I ever made in my professional life. The University of Nicosia is very fortunate to be spearheaded by visionaries who recognized this technology early on. They saw it, believed in it, took action, and even made it a strategic focus of the university. Blockchain for us is a top-down effort and there are not many established universities that can say that. My team and I are fortunate to always have the support in taking risks and doing what needs to get done. #3 Do you think the blockchain scene promotes equality? I believe that it is such a new space that there is room for everybody to join in. There is such a lack of people who understand the space which tilts the scale on the job hunters side. Man or woman. I feel that it is the lack of women that is the problem. I do believe that it is society’s overall emphasis on men and technology that hinders a woman’s spirit in entering. I think, women have less confidence in this area which is by no means their fault. You can see it in all the student body numbers of technology programmes, women are a minority. However, Blockchain is a great opportunity for women to break through. It has already begun of course. So many inspiring females are taking charge, starting businesses, becoming experts, succeeding, but we are still way behind. This technology has created so much opportunity for individuals and it is still at the very early stages of the cycle; at this point, there are still so many firsts that can be pursued. All it needs is people who can understand it, are inspired and have the know-how to make it a reality. So, it truly is up to us to make the change. We need to start educating ourselves and just make it happen. In this space, we CAN make it happen. #4 How do you see blockchain shaping our future? There is so much back and forth on digital currencies, and yes, no one knows, but blockchain? Blockchain is here to stay. Blockchain will revolutionize multiple industries. Most importantly for me, blockchain will elevate our society, blockchain means people are in control. In today’s age where others have more power over us than we do ourselves, this takes humanity to a whole new level. I am excited to see what this means for the future, and how we transition as people. #5 What advice would you give to newbies? I may be biased, but I believe that anyone wanting to enter this movement should get on the bandwagon and learn. If you want to enter the blockchain world, and you should, you need to start understanding what this is and how you can use it to leave your mark in this world. My position allows me to meet people every day with dreams and goals and a lot of pitches. Now, what makes those who succeed stand out? They know what they are talking about. They understand. Blockchain is a buzzword, and people throw it here and there and yes, people sometimes respond. But you want sustainability in this very competitive but opportunistic space. Stay ahead of the curve and never stop learning. Thanks to Irene for the awesome interview. Contentworks Agency is at the centre of marketing for the blockchain sector. We stay up to date with the latest technological developments and regulatory news to help finance companies and ICOs succeed. If you enjoyed this episode of Women in Blockchain, please share it with your networks. For more information about blockchain marketing services connect with our team. As returning media partners, Contentworks Agency is delighted to bring you the lowdown on Decentralized 2019…. April Crypto Outlook: What Can We Expect This Month? March Crypto Outlook: What’s Next After a Successful February?